We have special offers available on tickets for Paco Pena Flamenco Dance Company: Flamencura. 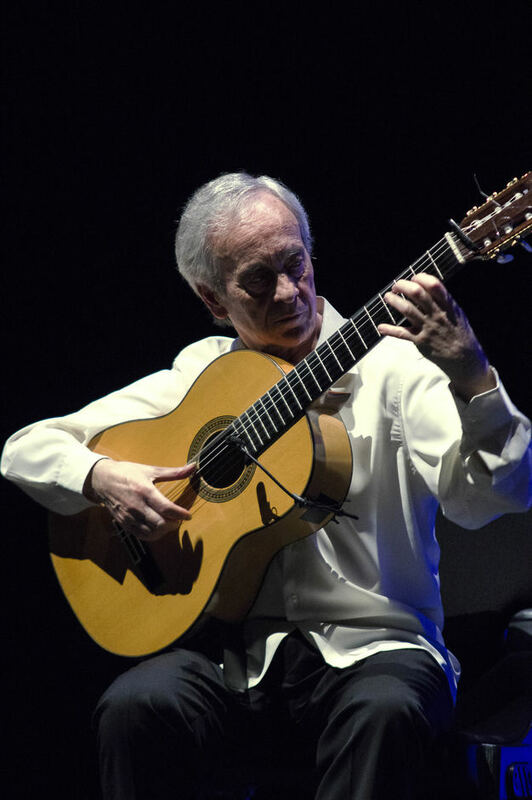 Legendary flamenco guitarist, composer, dramatist and producer Paco Pena returns to Sadler's Wells with Flamencura. In pursuit of 'duende', the alchemy between interpreter and audience at the core of flamenco, the Spanish guitar virtuoso, six musicians and three dancers portray a musical journey through the history of flamenco in all its variations in dance, song and guitar. Book in for the Sunday performances, on Sunday 21st and Sunday 28th June, and you can learn the steps at free pre-show flamenco classes. What are the best dining options near Paco Pena Flamenco Dance Company: Flamencura London? Paco Pena Flamenco Dance Company: Flamencura gyms, sporting activities, health & beauty and fitness. The best pubs near London Paco Pena Flamenco Dance Company: Flamencura. Paco Pena Flamenco Dance Company: Flamencura clubs, bars, cabaret nights, casinos and interesting nightlife. Where to have your meeting, conference, exhibition, private dining or training course near Paco Pena Flamenco Dance Company: Flamencura. Performers from amateur dance troupes come together for evening of entertainment produced by the team at Mardi Gras. From cheap budget hotels to luxury 5 star suites see our deals for Sadler's Wells Theatre hotels, including DoubleTree by Hilton London - Islington from 79% off.